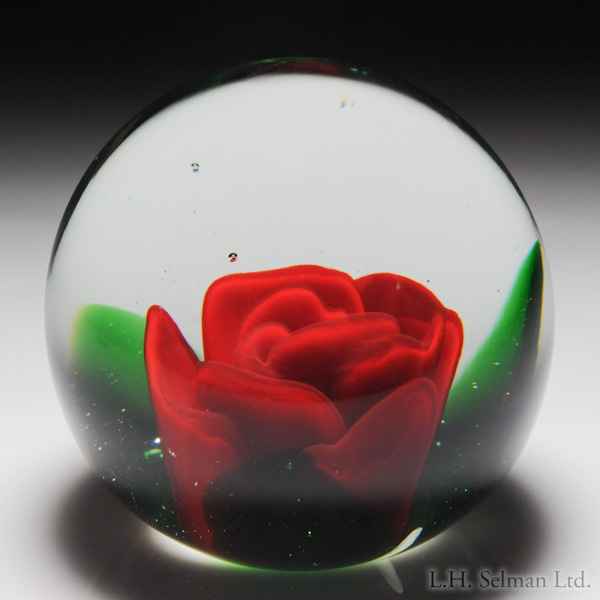 Murano red crimp rose paperweight. A large upright dimensional lipstick red crimp rose rests on the floor of a clear ground encasement, cupped by three translucent green petals. Fine condition. Diameter 3 3/8".